Our Workshops Help Students Get Their Proposals Approved! This just in! Proposal approval rates were higher for students who enrolled in CAEX workshops (71.2%) compared to those who did not (27.1%). Check out our proposal writing workshops today! The Center for Academic Excellence offers dissertation/doctoral study/capstone workshops to help students write their preproposal document (premise or prospectus) and revise and edit their overall proposal, introduction, literature review, methods section, and postproposal sections. No draft of your document is required for the preproposal workshop. Simply e-mail your Student Success Advisor and let them know that you would like to be registered for CAEX 8100 (quarters students) or CAEX 8105 (semesters students). Also include the date you would like to start the course. Our available term start dates are available on the Registration, Cost, and Schedule page of our website. Contact your Student Success Advisor to register for a workshop. 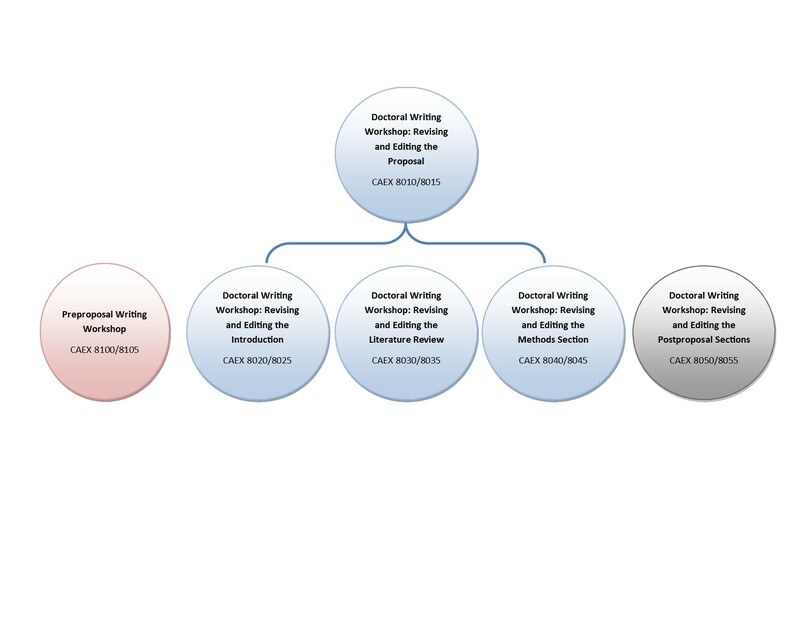 You must have a working draft of the section of your proposal that aligns with the workshop for which you want to register (e.g., if you want to take the intro workshop, you must have a working draft of your intro). These workshops require you to submit a 2-3 page writing excerpt of your draft of the appropriate document (e.g., for the proposal workshop you will need to submit a 2-3 page writing excerpt of your proposal draft; for the literature review workshop you will need to submit a 2-3 page writing excerpt of your literature review draft). You must include the 2-3 page excerpt in your e-mail registration request to your Student Success Advisor, and let them know in which workshop and term you would like to enroll (e.g., CAEX 8010, March 2, 2015 start). We recommend students only take one doctoral writing workshop at a time.